Detroit Airport Transportation Tips For Busy Travellers! We have brought the ultimate transportation services for busy and frequent travellers to Detroit. If you often visit Detroit Airport, then this blog will give you a perfect solution to luxury Detroit Airport Transportation, without troubling your travel expenses. Detroit International Airport sees over millions of flights annually and so sees a huge rush of Detroit Airport Transportation Services. Out of so many transportation services, it becomes difficult to choose the best in every term. Hence, we have brought some tips and will also tell something about one f the most reliable transportation Source in Detroit. Choosing a luxurious and cost-effective transportation for traveling back and forth to the airport adds a lot of satisfaction. Book a reliable Detroit Airport Transportation in the first place- They should have a good track record, especially with respect to time travel, well- behaved drivers, insured vehicles and reliability. 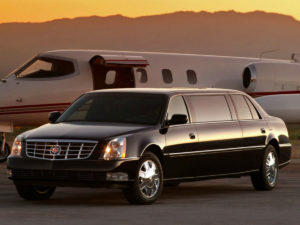 Detroit Airport Limo Cars are one of the most trustworthy transportation service providers in Detroit. We have a long list of loyal clients who never prefer any other transportation service than us. Don’t miss to share your contact information, especially the phone number- this will enable the transportation company to connect with you whenever needed. They can send you updates regarding your vehicle number, driver’s details, and other essential details. This will also help chauffer to reach you when he arrives at your location. Save your booking confirmation details- you must have your booking id or any other confirmation with you. 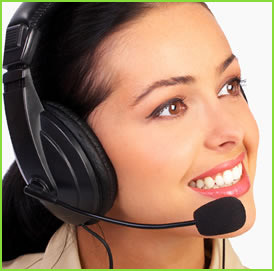 So that if you need to show that to your driver, you can do it without any hassle. If you are booking a car with any elite transportation firms like Detroit Airport Limo cars, then you will automatically receive confirmation emails and text images. Leave Early- Detroit Airport Limo Cars team always prefer to leave a little bit early to avoid any kind of last-minute hassles and our client’s safety. The passenger should also leave early so that you can reach the airport well before the time. Keep an eye on Your Flight Schedules– So, every passenger does that. You should keep your concern transportation partner about flight delays or any other change in the flight schedules. But it is best when you book an airport transportation service who keep a track of your flight schedule to make sure that we pick or drop you at right time. Well, we at Detroit Airport Limo cars always keep a track of our client’s passenger details. Hence, never miss being on time. Hassle-free Pickup/ drop-We will have someone holding a sign with your name on it. Our chauffeurs are well-behaved and trained to give every passenger a stress-free travel experience. Ride Home Safely- Our team will make sure that when you land back home, you are more than happy to reach home due to our smooth driving. If you want just to enjoy your trip to or from Detroit, we can take care of your travel needs with complete perfection. Right from scheduling best transportation to managing your departure times, our team will take care of every step to keep your airport transportation. Your Detroit Airport Transportation with Detroit Airport Limo Cars is there to make sure back and forth to the airport safely. You can even book a round trip with us.